Noble, wall-mounted toilet brush holder made of powder coated stainless steel. The design of the Vipp toilet brush is clearly linked to the classic Vipp bins. Replaceable brush and plastic inner tube. Air tight and odor free. 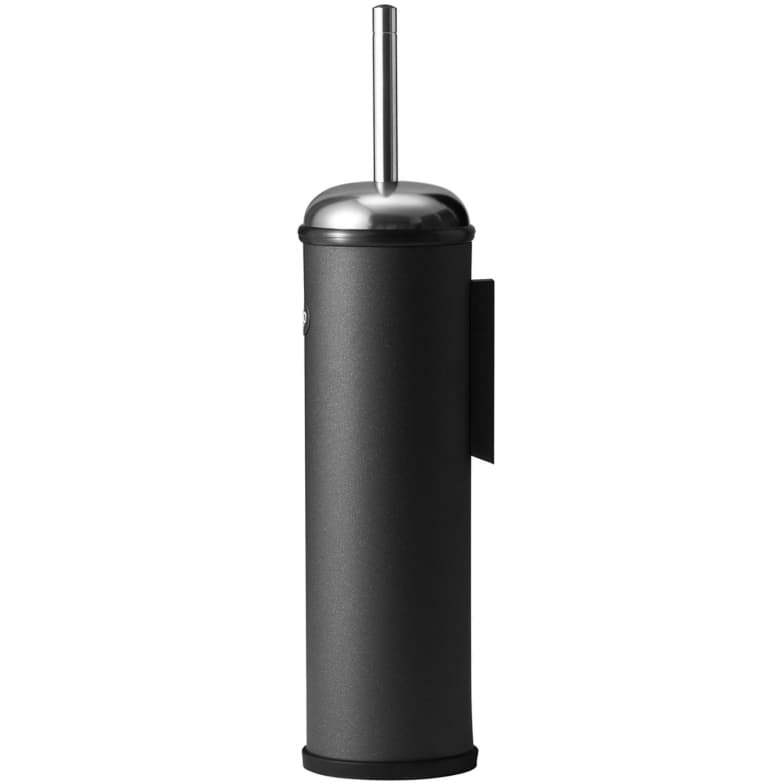 The toilet brush can be easily removed from and placed on the wall bracket, which is equipped with a locking mechanism. The brush head and inner tube can be replaced. A rubber ring at the top ensures that the brush fits tightly. Care instructions: Stainless steel surfaces should be cleaned and polished with a microfiber cloth, glass cleaner or other non-abrasive and gentle cleaning agents. Lacquered surfaces should be cleaned with a moist cloth. Rubber parts should be cleaned with a moist cloth. Apply silicone spray for better finish. Vipp products with dark surfaces should be cleaned with a soft brush and, if stained, with a bit of water. Then wipe with dry cloth. Do you have a question about "Vipp 11W"? How can we contact you?